Crose Mechanical, an award-winning heating company, provides Owen Sound furnace services to support customers looking to install, service, or maintain their heating systems. A natural gas or propane furnace generates heat after an ignition system ignites the gas from burners inside a combustion chamber. The hot flue products travel through the heat exchanger on the way to exhausting outdoors, probably aided by an exhaust blower fan. Circulated air moves across the heat exchanger absorbing much of the heat to be blown to areas of the house that want to be warm. The burning gas continues to generate heat until the thermostat is satisfied, then the gas stops. The circulating air blower continues to blow for a short time to distribute more heat from the still warm heat exchanger. The cycle starts anew when the temperature in the space where the thermostat is located drops below the setpoint, the temperature the thermostat is set for. 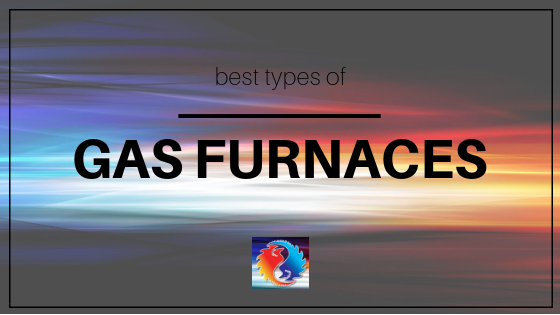 What is the Best Type of Gas Furnace? Even though there are up to 25 or 30 brands of furnaces in the market, they range from a few thousand dollars up to over $6,000 dollars installed. Interestingly, a lot of these furnaces are made by very few manufacturing companies. Really there are only 3 to 5 manufacturers who put different names and labels on the same furnace. In terms of the best brand of furnace out there, Eric can’t say. From his over 30 years of experience, some of the high-end furnaces have given as many problems as the $3,000 furnaces. Just because it’s a big name brand manufacturer doesn’t mean it’s necessarily better. Regular maintenance and service with a licensed, experienced professional checking it out, is the key to making it last. Pull it apart, clean it, take care of it, and it will give you many years of good quality service. What Are Signs There May Be a Gas Furnace Issue? Water around your furnace – drips, signs of drippage, or puddles – is a sign of a potential issue with your furnace. Soot or carbon buildup is a big one to look out for. It means incomplete combustion which can be very dangerous. Call a qualified furnace guy immediately. Another important sign is strange gas-like odours in the furnace exhaust. They would be noticed outside by the exhaust pipes. All the new furnaces are considered high efficiency. What that means is in order to provide extra heat, the water vapour and the fuel condenses inside the furnace. The condensation process puts more heat into your furnace and increases efficiency. So, if you’ve got water around your furnace that means either you’ve got a leak in your condensation system or, more likely, you’ve got a backup or a plug. It’s vitally important for the condensation to get away from the furnace out into a drain, a pump, or sink. Water that can’t get out backs up into the furnace and leaks out spots it’s not supposed to. If you see puddles around your furnace, it’s a major source of concern. Give your heating provider or your heating tech a call right away to check things out. Another issue is if the condensation does not leave the furnace properly. If this is the case, the condensation backs up into the furnace and can rot certain heat exchange portions. To do your own investigation, go outside to your plastic exhaust vent. If you smell a propane gas odour coming out of the exhaust, that is a sure sign of a very major problem in your furnace. Call your heating provider right away if that happens. If you don’t have a heating technician, we would be happy to help. We provide the areas of Grey, Bruce, and Owen Sound furnace services including installation, maintenance, and service calls. Contact us for more information. Are There Rebates Available for Gas Furnaces At This Time? One rebate that’s still available is the $250 SaveOnEnergy rebate if you get an energy-efficient furnace with an ECM (Engine Control and Monitoring) motor. This is a high-efficiency motor that uses about 30% of the hydro, give or take, of a normal motor. We can’t say how long that rebates going to last, but $250 is better than a kick in the head with a frozen boot.